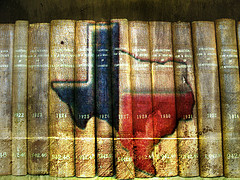 Texas SB 2 (Sen. Dan Patrick, author) was passed during the 83rd Legislative Session and goes into effect on 9.1.13. The Turkish Gulen Harmony Charter Schools as well as all other charter schools in Texas will be required to follow the many new SB 2 mandates. One of the negative aspects about SB 2 is that it takes away the authority over charter schools from the elected members of the Texas State Board of Education and shifts that authority over to the unelected Texas Commissioner of Education who is appointed by the Governor. Turkish Gulen Harmony Charter Schools and other charters will have to make sure the principal and teachers have attained at least a baccalaureate degree. A majority of the school board members must be qualified to vote (i.e., U. S. citizens). The names of school board members must be listed on the school’s website. The Texas Attorney General can sue for fiduciary misapplication of public funds. The school superintendent’s salary must be posted on the school’s website. (2) in a position other than a position described by Subdivision (1) if a school district could employ the person in that position. Sec. 12.1202. REQUIREMENT FOR MAJORITY OF MEMBERS OF GOVERNING BODY. A majority of the members of the governing body of an open-enrollment charter school or the governing body of a charter holder must be qualified voters. Sec. 12.1211. NAMES OF MEMBERS OF GOVERNING BODY LISTED ON WEBSITE. An open-enrollment charter school shall list the names of the members of the governing body on the home page of the school’s Internet website. (a) Notwithstanding the applicable provisions of the Business Organizations Code [Texas Non-Profit Corporation Act (Article 1396-1.01 et seq., Vernon’s Texas Civil Statutes)] or other law, on request of the commissioner, the attorney general may bring suit against a member of the governing body of an open-enrollment charter school for breach of a fiduciary duty by the member, including misapplication of public funds. Sec. 12.129. MINIMUM [TEACHER] QUALIFICATIONS FOR PRINCIPALS AND TEACHERS. A person employed as a principal or a teacher by an open-enrollment charter school must hold a baccalaureate degree [high school diploma]. Sec. 12.136. POSTING OF CHIEF EXECUTIVE OFFICER SALARY. An open-enrollment charter school shall post on the school’s Internet website the salary of the school’s superintendent or, as applicable, of the administrator serving as educational leader and chief executive officer. Here is the reason that thinking parents should not put their children into the Harmony or Idea Charter Schools. The RTTT–D grant funds were sent directly from the U. S. Dept. of Ed. to the Harmony/Idea Charters without the purview of the state education agency. These RTTT-D requirements basically mean that Harmony/Idea Charters are compelled to follow the Common Core Standards Initiative (i.e., national standards, national curriculum, national assessments, national teacher evaluation system tied to individual student scores, and national database). The 83rd Legislative Session passed HB 462 — . HB 462 became effective on 6.14.13 and bans local public school districts (and the Texas State Board of Education) from utilizing Common Core Standards (CCS) and national CCS assessments. How are Harmony and Idea Charters (considered to be public schools because they take public dollars) going to live up to the RTTT-D that requires schools to follow the Common Core Standards Initiative (Type #2) while at the same time Harmony and Idea Charters must follow Texas law in HB 462 that bans the Common Core Standards Initiative in Texas public schools? All public schools in Texas, including charters, are mandated to teach the SBOE-adopted curriculum standards (TEKS) which are Type #1. (Type #1 vs. Type #2 — http://educationviews.org/2-types-of-education-philosophies-chart/ ). How can children effectively learn Type #1 curriculum that emphasizes correct, fact-based answers while at the same time they are learning subjective, opinion-based, project-driven, group-think, Type #2 curriculum that emphasizes the process over right answers and seeks to indoctrinate children into the social justice agenda? Bottom line: No thinking, caring parent should put his/her children into the Turkish Gulen Harmony Charter Schools or the Idea Schools because the students in those schools will be indoctrinated into the Common Core Standards. 1. Eligible applicants include only individual local educational agencies (LEAs) (as defined in this document) and consortia of LEAs. 3. At least forty percent of participating students across all participating schools (as defined in this document) must be students from low-income families, based on eligibility for free or reduced-price lunch subsidies under the Richard B. Russell National School Lunch Act, or other poverty measures that LEAs use to make awards under section 1113(a) of the ESEA. If an applicant has not identified all participating schools at the time of application, it must provide an assurance that within 100 days of the grant that its participating schools (as defined in this document) will meet this standard. iv. a LEA school board evaluation (as defined in this document). ii. The ability to match student level P-12 and higher education data. 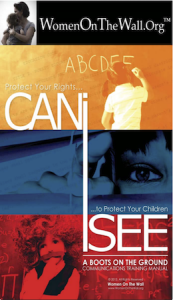 c. The LEA has policy and regulatory protections in place that ensure Family Educational Rights and Privacy Act (FERPA) compliant privacy and information protection while enabling access and use by stakeholders. The Race to the Top District competition (RTT-D) will build on the lessons learned from the State-level competitions and support bold, locally directed improvements in teaching and learning that will directly improve student achievement and teacher effectiveness. As importantly, they will create opportunities for students to identify and pursue areas of personal passion– all of this occurring in the context of ensuring that each student demonstrates mastery in critical areas identified in college- and career ready standards. Content standards for kindergarten through 12th grade that build towards college- and career-ready graduation requirements (as defined in this document) by the time of high school graduation. A State’s college- and career-ready standards must be either (1) standards that are common to a significant number of States; or (2) standards that are approved by a State network of institutions of higher education, which must certify that students who meet the standards will not need remedial course work at the postsecondary level.